Rick Warren’s vision for a “new reformation” is not a restoration of apostate Christendom to sound doctrine, but rather the merger of Christianity into partnerships with other religions, social organizations, business and governments to work together to create a “healthy” global social order. And in these various partnerships, Christian churches will be required to compromise the Word of God for the common good. In the secular world, Rick Warren’s “new reformation” is known as Communitarianism. “Well, as I said, I could take you to villages that don’t have a clinic... But they’ve got a church. In fact, in many countries the only infrastructure that is there is religion... What if in this 21st century we were able to network these churches providing the...manpower in local congregations. Let’s just take my religion by itself. Christianity... The church is bigger than any government in the world. Then you add in Muslims, you add in Hindus, you add in all the different religions, and you use those houses of worship as distribution centers, not just for spiritual care but for health care. What could be done? Plans for a future and final Reformation of the Church were developed by leading occultists of the 17th century Rosicrucian Enlightenment. The documentation we present on this report represents our research into the Rosicrucian infiltration of the Protestant Reformation and the Rosicrucian plan for yet another “re-formation” of the Church. Actually, our research was originally undertaken to determine if the Protestant Reformation was from the outset a work of the Rosicrucians for the purpose of dividing and conquering Christianity. The following outline contains information gleaned from various sources, but primarily from the works of high level occultists, with special focus on the Rosicrucians. The Christian reader will find, as we did, some disturbing information in these sections. Christians have been misled to believe that the “one world religion” will eradicate Christianity. FICTION: The one world religion will exclude evangelical Christianity. FACT: The “one world religion” will be a Gnostic form of Christianity. The Merovingian Jews converted to Christianity and founded monastic orders in order to infiltrate the Roman Catholic Church. Gnostic sects of the Middle Ages preached the divinity of man, and called this false gospel the Eternal Evangel. The Avignon Papacy was corrupt to the core which gave rise to legitimate protest within the Catholic Church. “Popes, Cardinals, and officials of the Chancery and Apostolic Camera appointed bishops, collected taxes, and imposed disreputable political interdicts and excommunications throughout much of Christendom with greater abandon than ever before. They did so in tight association with countless princes and other representatives of the late medieval Establishment. Bankers were particularly welcome in their entourage. As Alvaro Pelayo, himself a fervent supporter of the Holy See, noted in De planctu ecclesiae, ‘Whenever I entered the chambers of the ecclesiastics of the Papal Court, I found brokers and clergy engaged in weighing and reckoning the money which lay in heaps before them.’ (Pastor, I, 72). The purge of the Knights Templar occurred from 1307 to 1314 at which time the Merovingian Pope and his curia were setting up their headquarters in Avignon. John Wycliffe was born in 1327 and entered the political scene around 1376, at the close of the Avignon Papacy and onset of the Great Schism. Wycliffe may have been an agent of the network of the secret societies that Henry Saint Clair had established on the British Isles. According to Prince Michael Stewart, President of the European Council of Princes, said to be a constitutional advisory body to the European Union, following the Templar purge on the Continent, the Celtic Church of Scotland welcomed the refugee Knights Templar who then formed the Order of the Rosy Cross. The first order of business of the Knights of the Rosy Cross was to meet with the Pope at Avignon. “We often think of Martin Luther lighting the torch of the Reformation, but the Czechs have the oldest Reformation tradition in mainland Europe. Long before Luther nailed his theses to the door of Wittenberg Church in 1517, the Czechs had established their own national Protestant church with their own vernacular Bible and hymn book. In 1406 or 1407 and perhaps as early as 1385, Czech students studying at Oxford brought back to Prague the writings of John Wyclif. “The rector of Charles University in Prague, Jan Hus (1372?-1415), a man of outstanding intellectual gifts and personal integrity, took up Wyclif’s ideas. In particular, he took up the belief that, in true remembrance of the Last Supper, the Communion, or Eucharist, should be given in both kinds—bread and wine. The chalice became the symbol of the Hussite revolution, and Hussite supporters were often referred to as ‘Utraquists,’ meaning ‘in both kinds.’ Jan Hus was a great scholar and a gifted preacher. Between 1402 and 1403 the Bethlehem Chapel in the Old Town district of Prague was regularly packed, standing room only, with people eager to hear him expound on the Bible in their own Czech tongue. The Reformation divided and destabilized the Roman Catholic Church so that it no longer had the manpower to prosecute heretics. “So far, we have considered our strategy in our attacks upon the Catholic Church from the outside. But this is not all. Let us now explain how we have gone further in our work, to hasten the ruin of the Catholic Church, and how we have penetrated into her most intimate circles, and brought even some of her Clergy to become pioneers of our cause. “Apart altogether from the influence of our philosophy we have taken other steps to secure a breach in the Catholic Church. Let me explain how this has been done. “Although it frequently produced heretics, Italy was no haven for them; the vast majority of nonconformists of Italian origin found it possible to survive only by fleeing the vicinity of the pope and his Inquisition. Among the many classed as heretics by the Roman church, some were distinctly heretical even by our more exacting definition. Two of the most influential were an uncle and a nephew, Laelius and Faustus Socinus (1525-62 and 1539-1604), whose quest for freedom of thought led them from Italy first to Rhaetia (modern Graubünden, Switzerland), and then to Poland. In Poland Faustus took advantage of the nation’s unique religious tolerance to lay the foundation of modern Unitarianism. According to the records of B’nai B’rith, Luther was initially influenced and financed by Jewish conspirators but later discovered and exposed their deception. “‘We are the Fathers of all Revolutions, even of those which sometimes happen to turn against us. We are the supreme Masters of Peace and War. We can boast of being the Creators of the REFORMATION ! Calvin was one of our Children; he was of Jewish descent, and was entrusted by Jewish authority and encouraged with Jewish finance to draft his scheme in the Reformation. Luther was an Augustinian monk of the Strict Observance in a German monastery. “A member of Martin Luther’s order appointed, in accordance with the ‘Rule of Saint Augustine’, to read while the other monks eat in order that the monks may focus upon their spiritual hunger for the word of God as well as their physical hunger. . .
“Attempts to head off laxity in the Order led to the establishment of the ‘Observant’ wing to which Luther belonged by virtue of joining the Erfurt house. His fellow German Augustinians showed sympathy in 1518 with Luther’s theological stand, but in that same year his Augustinian superior, Staupitz, released him from his monk’s vows. “Strict Observance” was the name given by Baron von Hund, a German Templar, to the 33rd degree of Scottish Rite Freemasonry. 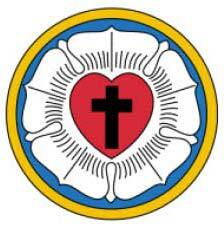 Luther’s personal seal was the Rosicrucian rose symbolizing the lost tribes of Israel. 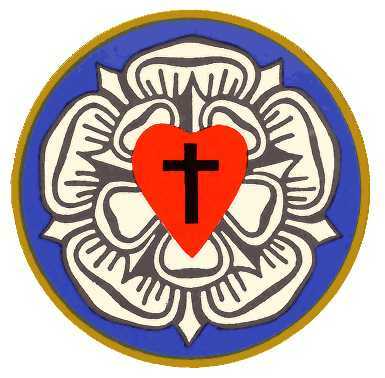 Compare the equal-armed Rosicrucian cross with occult symbols on Luther’s wax seal and the sanitized Lutheran Church version. 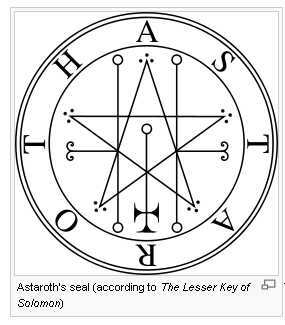 The five petalled rose on Martin Luther’s seal was a pentagram, a symbol that represented the Goddess Astaroth. 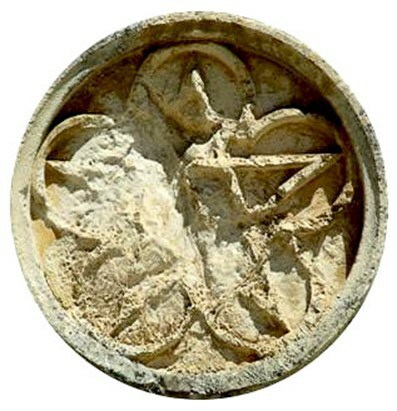 “Decoration of a pentagram inside a rose, from the Knights Templar church Santa Maria do Olival, built around ca 1150AD in Portugal. Luther however repudiated the Kabbalah and the Rabbinic commentaries which rejected the Christological interpretations of the Old Testament Messianic prophecies. “Luther interested himself for a time in the Kabbalah, perhaps under the stimulus of Reuchlin’s works, but found no great attraction therein. It served him for the most part with material for his attacks upon Rabbinical literature, though on one occasion he says that if he be permitted to submit to the Kabbalistic method, he would say the Tetragram was a symbol of the Holy Trinity, a statement which he deduced from the meanings and the sum of the numbers of the letters. But unlike Pico de Mirandola, instructed by Jochanan Aleman, or Reuchlin, instructed by Antionius Margarith, Luther was repelled by the Kabbalah, and turned to sterner stuff. Luther’s seal appeared a century later on a Rosicrucian Manifesto, The Chemical Wedding of Christian Rosenkreutz, authored by Johann Andrea who was Grand Master of the Prieuré de Sion from 1637-1654. John Valentin Andreae influenced Johann Comenius of the Bohemian Brethren, the mystical branch of the Reformation, which became the Moravian Church. Parallels between the Protestant Reformation and Christian Rosencreutz, a mythical 15th century knight who is said to have launched the Rosicrucian movement in England. “[In] 1614 Germany, printed by Wilhem Wessel at Kassel – “The Universal and General Reformation of the Whole Wide World: together with the Fama Fraternitatis of the Laudable Fraternity of the Rosy Cross Written to All the Learned and the Rulers of Europe’. Within this publication and much more famous - ‘Fama Fraternitatis dess Loblichen Ordens des Rosenkreutzes’. 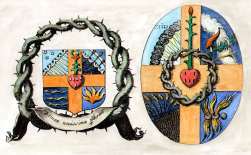 The Proclamation of the Fraternity of the laudable Order of the Rosicrucians, ie., to proclaim to the world the existence of a benevolent secret brotherhood of Christian alchemists whose purpose was to initiate a new reformation. There was, within it, a description of the life of Christian Rosenkrautz, the alleged founder of the fraternity, his death in 1484 and rediscovery of his tomb in 1604. The new reformation was to be a scientific reformation as well as a religious and philosophical reformation. ...the FAMA is the Rosicrucian manifesto. The FAMA recounts the journey of CRC, the reputed founder of Rosicrucianism, who was allegedly born in 1378 and lived for 106 years. He is now generally regarded to have been symbolic rather than a real character; whose story provided a legendary explanation of the Order’s origin. 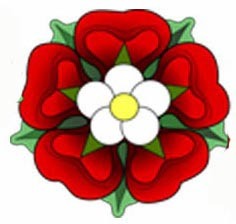 “The ‘Chymical Marriage’ contains the following passage: -- ‘Hereupon I prepared myself for the way, put on my white linnen coat, girded my loyns, with a blood-red ribbon bound cross-ways over my shoulder: In my hat I stuck four roses.’ Elsewhere, he describes himself as a ‘brother of the Red-Rosie Cross,’ and a ‘Knight of the Golden Stone’– eques aurei lapidis. “Johann Valentin Andreae is a Lutheran pastor and mystic, at Tubingen University. 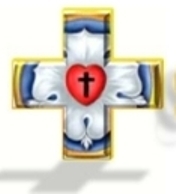 Andreae’s personal coat-of-arms, like Martin Luther’s includes the ROSE and CROSS motif. Yet, according to Schuchard, ‘current scholarship suggests composite authorship by Andrae and his colleagues at Tubingen’. Here we have an author who is very shrewd, he presents an appeasement (wedding), ie., a Marriage of Alchemy (Intelligentsia of Europe) with the new Protestantism of Europe for political acceptance of the Religious Brotherhood, just as was a similar case for brethren who formed the Grand Lodge of London and Westminster in 1717. Was the legend of “Christian Rosencreutz” an allegorical tale about the Protestant Reformation? See: Is Christian Rosenkreutz the Protestant Reformation? Luther and the de Medici Popes may have collaborated to “precipitate a schism” in the Roman Catholic Church. 1517, October 31 (All Hallow’s Eve = Reformation Day) Martin Luther nailed his Ninety-Five Theses to door of Wittenberg Chapel. All Hallow’s Eve - According to Genesis 7:1, the Great Flood began on the 17th day of the 2nd month (Heshvan) of the Old Testament calendar, which is the end of October or beginning of November on the Gregorian calendar. This date falls precisely on All Hallow’s Eve which is the pagan celebration of the “Day of the Dead.” Halloween is the counterpart of the Druidic Feast of Samhain, which was held in honor of the “Lord of the Dead” (Satan) and ushered in the Druidic New Year. Halloween and the two days which follow, the Feasts of All Saints and All Souls, are ancient commemorations of the demonic race—the hybrid offspring of fallen angels—which God destroyed with the Great Flood (Genesis 6-7). Giovanni de’ Medici, as Pope Leo X, bankrupted the Vatican and inaugurated sale of indulgences to make up the deficit; this papal abuse provoked the Germans setting the stage for Martin Luther’s 99 Theses which launched the Reformation. “. . .the future Leo X (was) born Giovanni de’ Medici. . .(the) second son of Lorenzo the Magnificent. . . He was tonsured and ordained a priest at age 7, he was summoned from Florence at age 37 by the Conclave in Rome in 1513 to succeed the dead Julius as Leo X. . . He furthered the work of his predecessor, pushing the invading French almost completely out of Italy. This allowed the pope to spend the bulk of his 7-year pontificate lavishing millions of ducats on the arts, legendary banquets and his grandiose building projects. After years of delays Leo began work in earnest on the construction of a new St. Peter’s Basilica, which he intended to be the greatest church in Christendom. The pope’s ears were deaf to the protests of his priests as he blessed the demolition of old St. Peter’s with all of its priceless early Christian art treasures. “Bramante’s designs for the new St. Peter’s soon became Leo’s greatest money pit. Julius’ treasury was emptied. 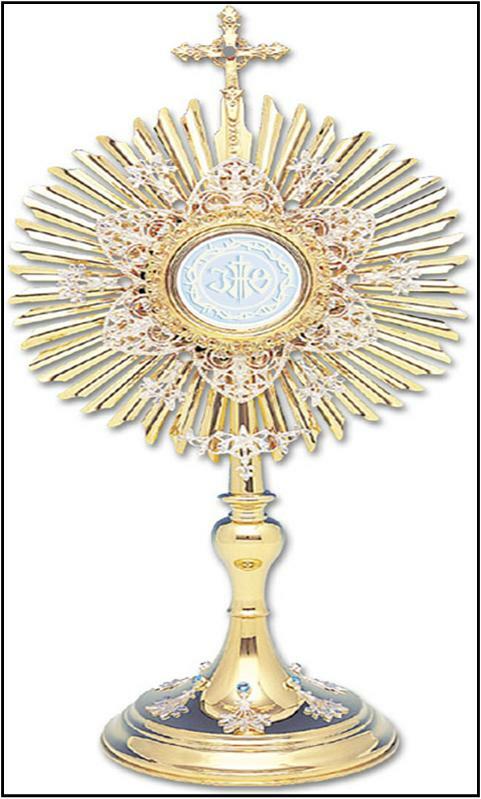 . .
“Leo had gained the pope’s crown through a solemn vow to discontinue Pope Julius’ use of usury and indulgences. But the new basilica built in the Apostle’s name could not be finished unless he expanded the indulgence scheme beyond all previous excesses of Sixtus IV. . .
“Leo expected that volume rather than a high retail price for fewer indulgences would haul in a Calvary sized mountain of money, burn off the bills of his lavish life and projects in Rome. “What it did instead was incite the Protestant Reformation. “The Church authorities across the German states, could say, ran a syndicate over the sinful laity. Taxes imposed by this papal Mafia of the German soul had already collected half the wealth in Germany. One more indulgence fleecing from the pope broke the camel’s back of the Church’s credibility. For centuries Christians had endured spiritual neglect from the popes of Rome until the climate was right for one Augustinian monk named Martin Luther to galvanize the resentment of millions of average Christians into a spiritual rebellion. “In 1517 Luther wrote a pamphlet on indulgences and other essays critical of papal abuses followed. . . In fact, there were four Medici popes, perhaps to insure that the Protestant Reformation continued as planned. The Reformation effected a marriage of convenience between Rosicrucianism and Protestantism, which was influenced by Rosicrucian philosophy. “Hence, may we say that ‘Rosicrucians’ were people who enjoyed the mystical and esoteric way of life which eventually led to the Church’s reform. To overcome the Church’s label of Heresy they enveiled their thoughts within the science of Alchemy. This concept (destruction of the total control of the Papacy) which began with Luther, included the 30-year War (1618-1648) and reached the public with the publication of the so-called ‘rosicrucian manifesto’, The FAMA. The Lutheran Church today receives Freemasons into its membership. Lutheran apologist and Knight Templar, John Warwick Montgomery’s biography of Rosicrucian John Valentin Andrea misrepresented him as an orthodox Lutheran theologian. “Ecumenism is promoted in a variety of ways for the fulfilment of the Order’s institutional aims, which include the unification of all faiths.